Pope Pius II: Letter as Cardinal Eaneas Sylvius Piccolomini. 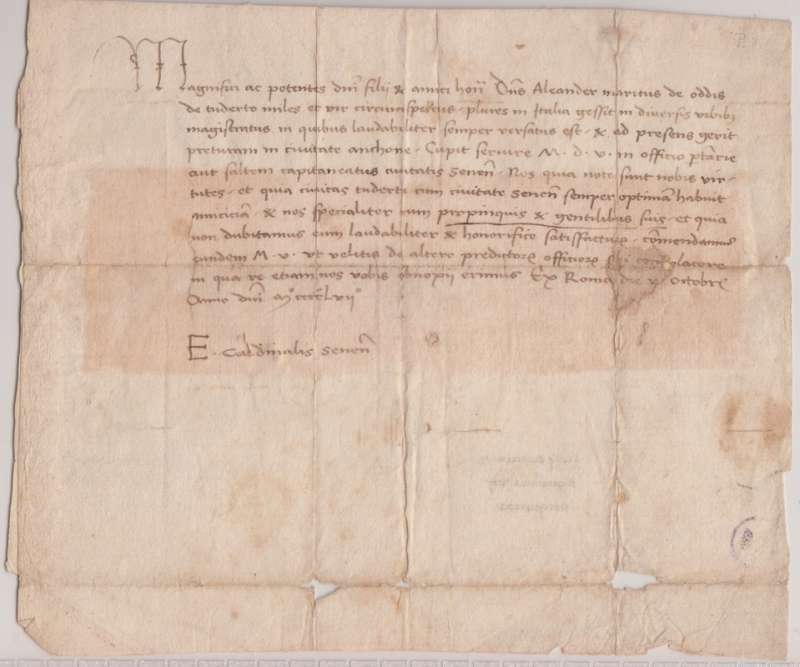 Papal Artifacts / Pope Pius II: Letter as Cardinal Eaneas Sylvius Piccolomini. The following commentary is from the EWTN series, The Papacy: A Living History, The Papal Artifacts Collection of Father Richard Kunst. This artifact is the oldest autograph in the Collection and was featured on Episode 5 of the series, Popes of the 17th. Century and Earlier.